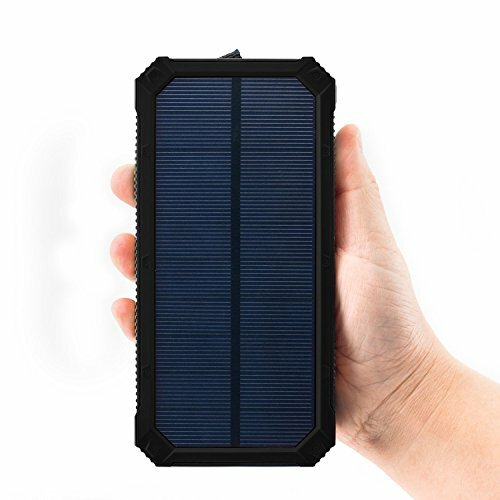 Enjoy GRDE 15000mAh solar charger backup battery charger power bank! 1. 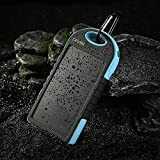 Dust proof outdoor solar cell phone charger, won't worry for losing any power on hiking, camping, traveling, keep charged on the go. Please keep it under 45 degree Celsius in use. 2. 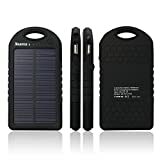 15000mAh high capacity solar power bank with bigger solar panel, which can recharge itself under direct sunshine for emergency. Around 10 hours to be fully charged via outlet. 3. Dual USB ports allow two devices charge simultaneously, 2A port for iPad/Tablets, 1A port for cell phones/Bluetooth. Automatic identification provide high speed charging. 4. Integrated 4LED indicators to show power status; 6LED flashlight for outdoor use, never lose you way. Charger and torch two in one. 5. 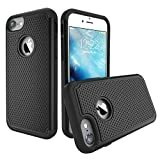 Widely compatible: compatible with iPhone Smartphones HTC Nexus Gopro Camera GPS Tablets and other 5V USB devices. Clip included in box, another choice to carry. 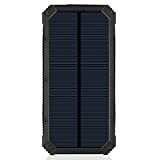 15000mAh solar charger: best companion while outdoor! 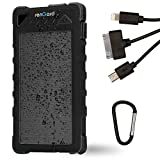 Two USB output can charge two devices at the same time, also compatible with most 5V USB-Charged devices such as iPhone, Kindles, Gopro Camera, GPS and Bluetooth Speaker. Built-in LED can be used as a torch, just simply double-click to activate it. Battery comes with a hook so you can simply attach it to your backpack when doing outdoor activities and it will soak up energy from sun. 1. In order to fully activate the solar panel, please charge it via outlet or computer at least 12 hours at first time use. 2. Please do not take solar as primary charge source. Solar is mainly for topping off the unit, the charging speed will be subject to sunlight intensity and panel conversion rate, which may take long time. In daily life, we highly recommend charge it from electricity source. 4. For safety, DO NOT charge the power bank in car or put it on dash due to high temperature in car. Please do not make charge while charging itself.